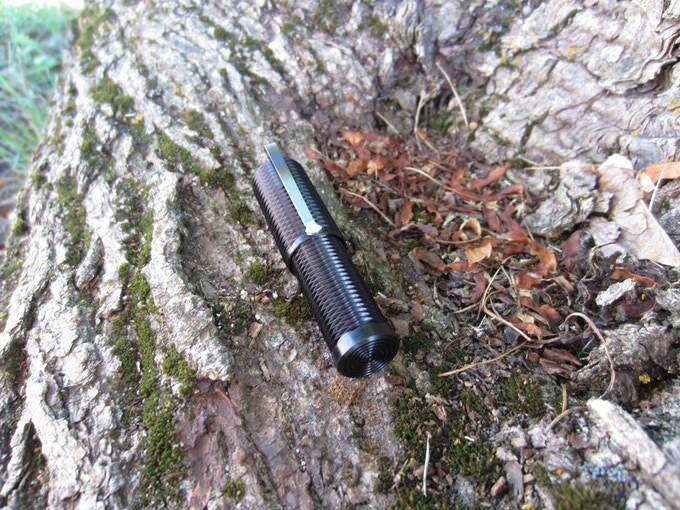 I’d like to introduce my flashlight company: DARKSIDE ILLUMINATION, LLC. The plan is to create unique, high quality lighting products catering to enthusiasts and professionals. I will be machining and assembling each of the lights myself and using domestically produced components where possible. 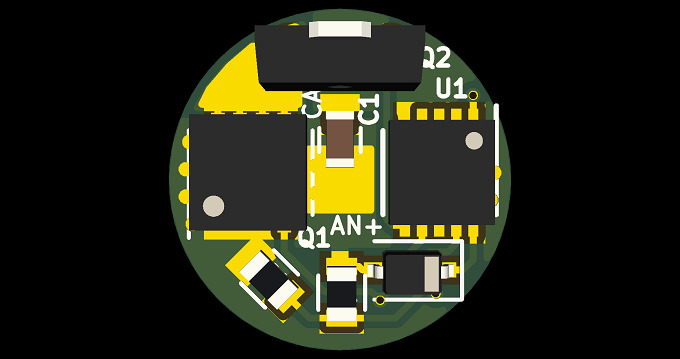 The 10mm driver is a single sided ATtiny13a based fet+1 called the “DS-10DD+1” and is basically an evolution of the MTN-10DD by RMM. I’ve ditched the OTC, using mem decay for offtime instead, added a vertically oriented 7135, and external programming pads so that the mcu can be flashed in situ. A pogo pin programming clip will be available later. 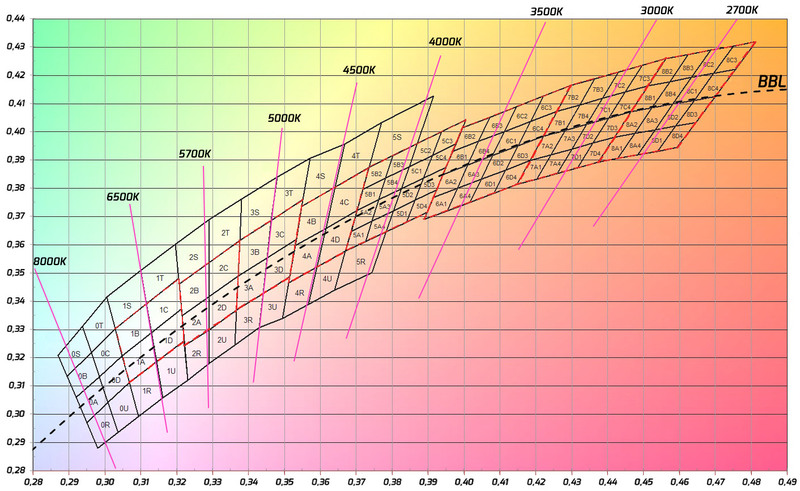 The LED is a Nichia 219C, 4000k 9050 CRI, on a 10mm copper DTP board. The negative contact spring is silver plated BeCu and the positive contact button is pure nickel, though I may switch to a bi-metal contact. The light cycles from low to high and always turns on in mode one. The soft start on turbo allows the light to be cycled through to the battery check mode without having to blast turbo to get there. 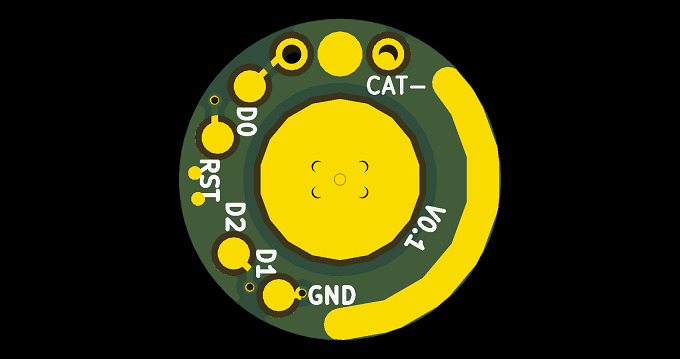 It also serves to pull down the battery voltage a bit before going to 100% FET, which is easier on the LED and battery. The firmware will be open source and the link released at a later date. The exact mode values may change slightly before launch but it’s pretty close, and these are the mode values I used to get my runtime numbers. FINISH: Type III, class II hard anodize finish. 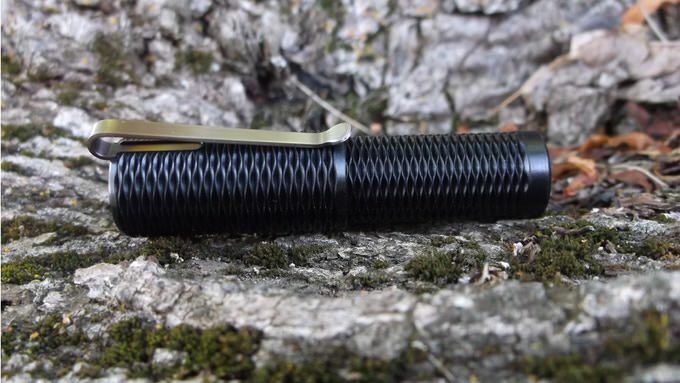 POCKET CLIP: Ti6Al4V Grade 5 Titanium. OPTIC: Diffused spot polycarbonate TIR, 27° FWHM, 91% efficiency. MCPCB: Copper, Direct Thermal Path. 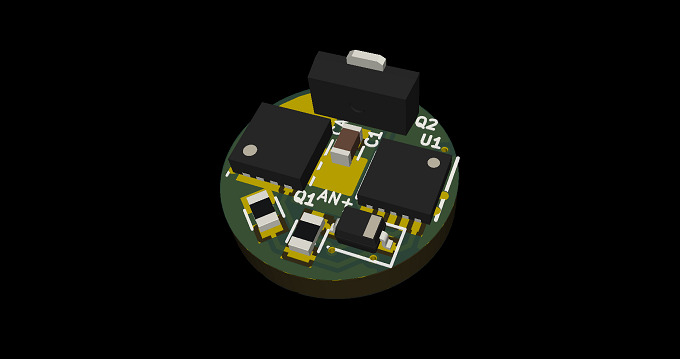 DRIVER: “DS-10DD+1” 10mm ATtiny13a based FET+1 driver with reverse polarity and low voltage protection. External programming headers allow for in situ mcu flashing. MODES: 6 modes + battery voltage indicator mode as the 7th mode. L—>H, No memory. POSITIVE BATTERY CONTACT: High conductivity pure nickel. NEGATIVE BATTERY SPRING: High conductivity silver plated beryllium copper. WEIGHT: 15.5 grams without battery, 24.6 grams with battery. SIZE: 65mm total length including clip protrusion, 15.4mm head diameter. MAX TURBO OUTPUT: 700+ lumens. LEAD FREE SOLDER is used throughout the light. Feel free to ask any questions and make commentary! Thanks so much for your support! -Pocket clip will be slightly wider. The “foot” on the clip will take a bit of a different shape and angle such that it is unlikely to snag on a car seatbelt. 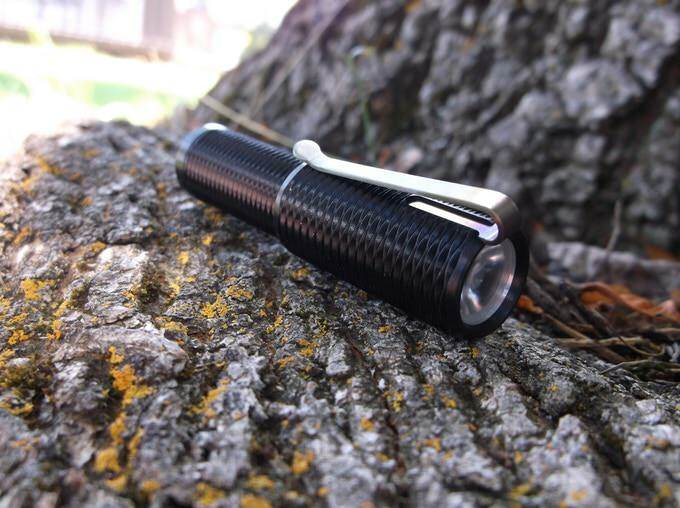 -Pocket clip will be tumble finished for rounded edges and to remove the torch discoloration. -Body pattern will be slightly refined. -7075 aluminum instead of 6061 if the anodize stays to my liking. -Might be able to add a large enough rare earth magnet under my custom production tail springs. May have to increase the length of the light 1mm or so to accommodate a strong enough magnet. Early testing with small and thin rare earth magnets did not have very good results so we’ll see. Nice first product. Good luck with the company! Well, now that I know this is Hoop’s baby im on board. Congrats Hoop! Very nice light. Ok… Now that the cat is out of the bag… I have one of the prototypes. The prototype I have is basically the same body with somewhat different electronics. This little guy is the berries! The output, yes it is real! She gets hot fast as one would expect, but I have not melted it’s face of yet!!! I was concerned about the machining on the outside being a weak point, but I have carried for a good while to work on and off and my oldest daughter has carried it as it fits perfectly in her purse. I have not crushed or damaged any of the machine work and the ano is very good on the unit. Have not scratched it up either. I do not like twisty lights, until now! The pattern on the outside makes it so easy to hold and use. 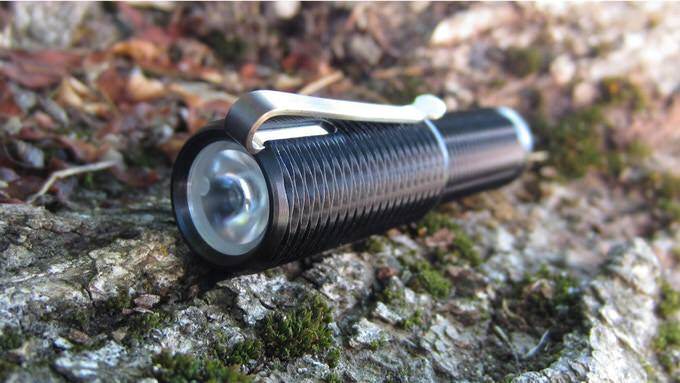 The thread tolerances are very good, the light will not turn on in your pocket, that was one concern that I had and one of the reasons I used it like any other light. I really tried to make it fail and could not! If you are looking for the ultimate OMG where is all that light from light or something that is perfect for day to day stuff at 200 or 300 lumens… This is it. Hoop is a master, remember his beautiful S2 pills… This is just several levels above the work on those pills! BTW, it was hard not to post pics or talk about this little guy during development… My opinion, when asked about price… I told him it was maybe a little to cheap… This will give you your monies worth and more! Very nice looking light. I like the “new” driver design too. I’m worried that having six modes plus batt check might be too much considering it’s a twisty, and it also doesn’t have any mode memory. Either one of those conditions would make more than three modes a hassle for me anyway. I hope you do well with it though, and I’m excited to see what more comes from this new flashlight company in the future! I doubt the six modes will be an issue, since it gets stupid-bright for its size. It’s basically moon, low, medium, high, turbo, turbo+. I doubt there will usually be much need for anything above medium during regular use. 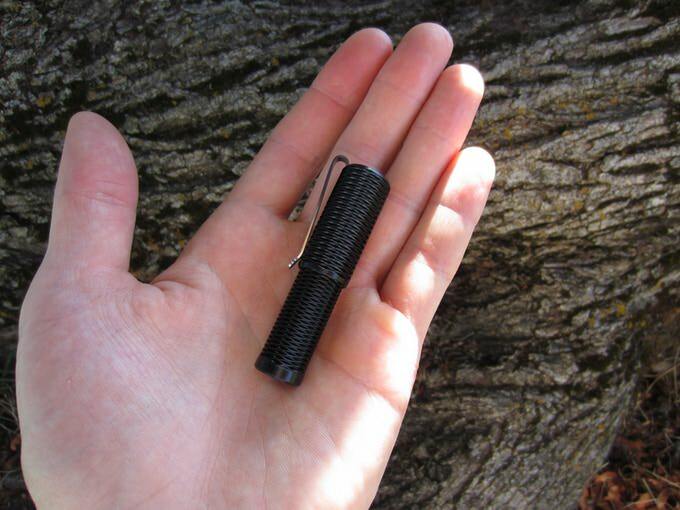 You can pretty much treat it as a 3-mode keychain-sized light… which has extra levels tucked away in case you need them. TK, you nailed it. I do not think that in normal use one would be in the upper modes other than to impress someone that does not know better! Ah! I didn’t think of that! Based purely on the gorgeous work that was so obvious in the S2+ pills I just had to leap on board! Very much looking forward to getting this beauty in hand! Thanks Hoop, well done! Thanks for all the kind words guys! And huge thanks to mattlward for all of the excellent constructive feedback about the beta light. Could not have sent it to a better guy. Just wanted to add, for those that might not believe the numbers…. 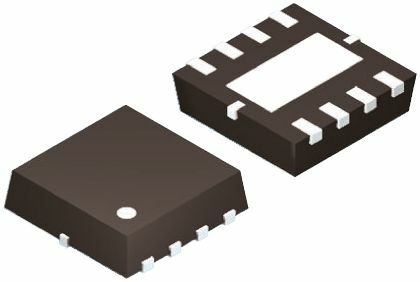 the little 10440 Li-ion cells can actually deliver over 3A in direct drive. My Texas Poker uses these and while I’ve had it making 1100 lumens before I finally settled on the Nichia 219C for it and it’s at 738 lumens in Turbo on a 12mm FET +1 driver I built myself several years ago. This light has been running strong for over 5 years… so yes, it actually is very doable and I’m excited to see the workmanship on this light. Not sure what’s currently available but I’ve always found the Efest 10440 to be exceptional for my neck light, will continue using these I’m sure. Until you’ve seen this type of light in action, it’s pretty unbelievable. The output is so much larger than the actual light, they sure do come in handy! Anyone not liking the price… consider that I paid $800 for the little Texas Poker to be built from a bar of surgical grade Ti that I had for years. I honestly didn’t expect it to run that high, but in the end I wouldn’t do it differently. This is truly a custom made one of a kind light and as such, the price reflects the effort that Photon Fanatic put into it. Wasn’t easy carving a 1” bar of Ti into this small light. That said, I know good and well Hoop spent many working hours developing this beauty, the external style shows an intricacy beyond the price by an easy tenfold! Grab em up people! You don’t find work like this these days! Especially not at the asking price! Thanks Dale. Yea, there’s quite a bit of time and money into this light so far. Fun fact: without custom tooling, the beta prototypes each have about an hour and a half machine time into them. This is because the rpm has to be pretty slow to leave a good finish, and each level of the pattern is cut individually multiple times. With custom tooling ($,$$$) the pattern will be much faster to cut though. The Efest 10440 IMR V1 is an awesome little cell. The 219C pulls almost 3A from it. It absolutely does 700+ OTF lumens for a short while. I can confirm that a well-made AAA-size light in combination with the Efest 10440 is an amazing combination. 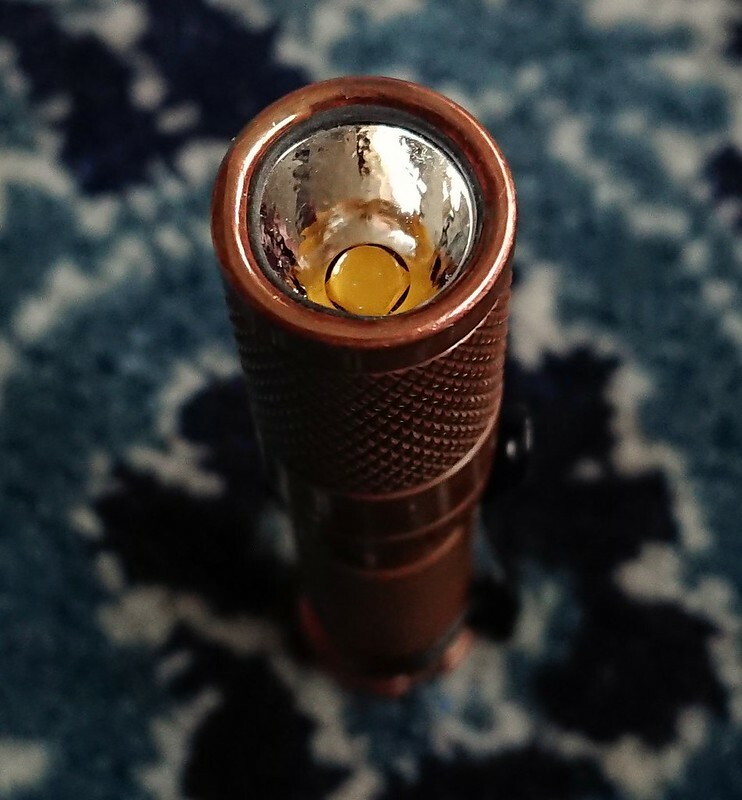 My copper Maratac with the little Mtn FET-driver and 4000K 80CRI XP-L2 does 960lm at startup and 650lm at 30 seconds (maukka calibration), and actually has increasing output then because the battery warms up. And the Maratac has a mediocre aluminium pill that spoils quite some performance, Hoop’s design is much better. (It also runs for 16 hours at 4 lumen on that tiny battery, you have all options). Very…VERY nice, though I strongly miss a lug or a hole so I could hang it on my neck…. thats a beautiful light Hoop! As a side note, since there’s still space left in the ROM, it may be worthwhile to add a little extra code to under-clock the MCU on the lowest level. It could increase runtime on moon while also making the output more stable at different voltages. I’m not sure how much it would change the power usage, since I haven’t tried that on tiny13 before, but it’s a thing to maybe try. Is there enough extra ROM space to put your code for selecting how many “levels” it has? It’s probably possible, but it’d be a lot of extra work and it’d be a pain to navigate a config mode on a twisty. I understand all that. I’m just one person out of all potential buyers. So, I’m probably not even nearly representative enough to warrant the extra work needed to make it possible. However, on the issue of it being “a pain to navigate a config mode on a twisty” I will just leave it at this: It’s a pain I’d be willing to endure, since I’d only do it once anyway. Again, other peoples’ opinions may differ. A twisty with a SPRING! 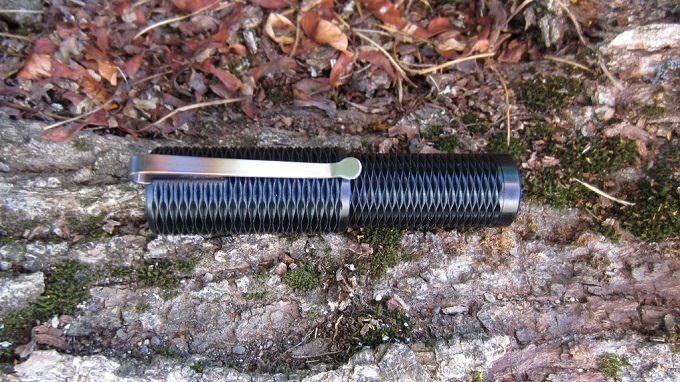 Even tougher as the contact would be a soft touch as the spring makes contact and begins to compress. My Texas Poker is a “crusher”. Works great but is very cell specific… not a problem here as there is really only one cell that is available in this size to supply the current a DD set-up requires. Though it may not be easy to distinguish 1 and 2. It’s a twisty with an e-switch. There is no e-switch. Just a metal cylinder for the battery to touch. The black box on the driver looks totally like a switch.